P-MG-3609 is a Low-Profile Machinery Guards product manufactured by Mighty Lift. Request a Quote below for this and other material handling equipment. Single piece units built from 4-1/2” steel pipe are anchored to the factory floor thru mount plates welded to each end. Designed to protect stationary assets by absorbing impact or simply disallowing access to an area. Choose the size that works for your application. 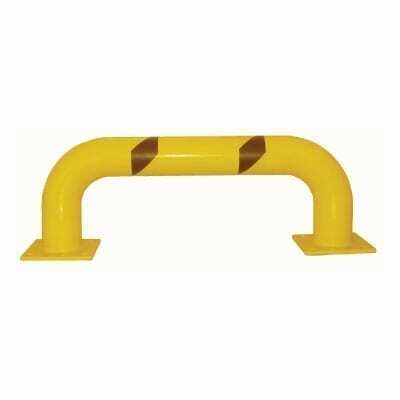 Machinery guards are powder coated safety yellow and come in a high and low profile. 9" x 36" x 39-1/2"